Your friend Gloves just invited you to inkoplis Square. Do you take the offer and meet the love of your life or decline. Let's find out. You are a famous inkling. Everybody knows who you are. You are the queen of the love songs. You have everything that you ever wanted. Everything but love. Will you have a happy ending? Alrighty, get ready and buckle up, we're going on a long ride! 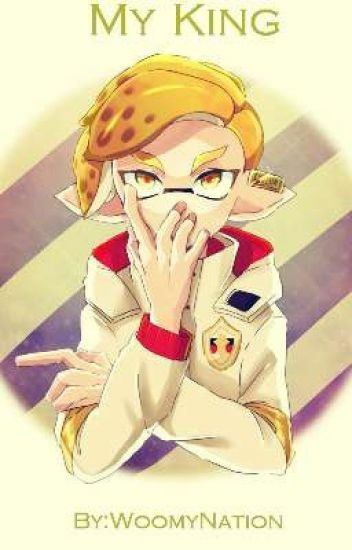 ❥Scenarios between you and your favorite Splatoon manga characters! Requests closed! Characters inklude, Goggles, Rider, Aloha, Army, Mask, and Prince! Enough to get to like- 100 chapters lmao. And yes, I will be using ALL the characters from the manga but I won't be using any OCs so don't ask. You were a top ranking player back in Inkopolis Plaza; the best of the best. But now that you've arrived in Inkopolis Square,  your worries weren't placed on obtaining the top spot, but rather, training team emperor to be the best after making a bet with them. Will you really fall for this wannabe king? Or should the question be, will the feeling be mutual? I always see full stories of Emperor x Reader on Wattpad, I came up with this plot line a awhile ago, and I started writing it cuz I was bored, so here's the result. ▪Sorry if there are any continuity mistakes with the Splatoon Manga, Splatoon and Splatoon 2. I never read the manga (I've watched like, Rider's chapter on YouTube tho),  I never played the first game and I play Splatoon 2 occasionally, if time allows (I played a lot of Splatoon 2 this summer tho)(Nintendo is killing me cuz I don't have Nintendo switch online). ▪I'm not an expert at writing. If you hate this story, pls don't spread that negativity to the comments, simply just stop reading it. ▪I will be updating this book at my own speed. Remember, a chapter must go through a whole process, it can't be done in a snap. There are many possible problems that might come up, such as internet loss, school stuff, family trips, etc. I'll work around them though, so if you see that this book hasn't been updated in a while, deal with it. ▪I'm sorry if a chapter turns out shorter or longer than you hoped, it just turns out the way it does. ▪Cover art (If there is any), is not mine. Rider has always been the 'lone wolf' type. Eveyone knew that, so they always tried to stay out of his way. You believed that everyone needs a friend, especially Rider. Something about you aroused his suspicion, so he let one person past the barrier. *Warning* this story contains mildly strong language such as "pissed off" and "squit". No actually strong language is used, though. It is only words like this. Other than that, disclaimers same as always. Find them in the description of my "Training the King" story. "Next time, I promise I won't fall on you!" "Beautiful, next time fall for me instead." This is an Aloha x Fem!Squid!Reader, from the Splatoon Manga books. The Splatoon Manga and any of its characters are not mine. Cover is mine, but the art is by @dkdk_am via Twitter.